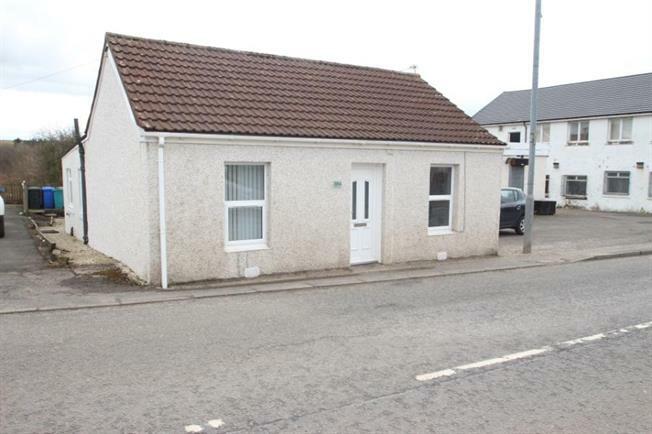 3 Bedroom Detached Bungalow For Sale in Airdrie for Offers Over £120,000. Located in the village of Greengairs is this unique traditional detached cottage . The well presented accommodation on offer comnprises entrance hallway lounge with open plan modern kitchen,separate utility room, three bedrooms and family bathroom. The property has double glazed windows, electric "wet" central heating and large private enclosed gardens with gardens shed and sun house which is currently used as a craft room. The village has local shops and a primary school with main shopping facilities and high schools available in the nearby Airdrie or Cumbernauld.Purchasers can have the best of both worlds, village living but only a short drive to access all the major motorway networks for commuting throughout the central belt.